Preparing for a bar mitzvah service and planning a party with one’s ex is not on anyone’s bucket list. This I can assure you. But doing it all after your children’s father dies suddenly makes you long for the alternative. My children’s father died on the first night of winter break, five months before our son’s bar mitzvah. Their father had been my college sweetheart, and was now my ex-husband. We were not very observant, and truth be told, the bar mitzvah party was as important to us as the morning service. The party would be our time to celebrate, and also our time to put our best divorced-family foot forward. Oh, there were some people who said they wouldn’t attend a party if I would be there–and some who didn’t want to attend if my ex would be there. But we had determined long before that we didn’t care about any of those people—this rite of passage, and this party, was about our son. I looked the other way when my ex wanted to build the centerpieces and started accumulating parts and tools. He looked the other way when I rolled my eyes. I knew my ex well enough to know these masterpieces might never be built, and the fun he and our son were having further sealed their bond, and ramped up the excitement level when there was little excitement for Haftorah lessons and Hebrew school. Then, my ex died suddenly of a heart attack. He was 40. Our children were 12 and 9. In the midst of the early mourning process, one of the questions that I was asked most frequently was also the strangest. It rarely had anything to do with the kids’ emotional health or well-being or happiness. Or mine. Those topics made people uncomfortable because there was no clear-cut answer. But to some, “What will you do about the bar mitzvah?” had an easy answer. Jewish tradition forbids celebrations during the mourning period—and that can mean anything from 30 days to one year, depending on one’s level of observance. And, since nothing was more celebratory than a DJ and line dancing and crazy party swag, some thought their question was rhetorical. It was wrong to have a party. It was against the rules. And of course, what would the neighbors say? The party would be postponed. Indefinitely. I asked our Conservative rabbi if my son could have a party. “What does he want?” the rabbi said. I asked my son if he wanted a party and he looked at me like I’d rearranged the features on my face. He tilted his head and scrunched his eyebrows. Of course he wanted a party. Why wouldn’t he want a party? Yes, it would be different. Yes, he was sad. But not having a party would make him even sadder. And I knew my kid well enough to know this was not a mere manipulation, there was no energy at this time in his life for that. This was a plea. A plea for momentary normalcy. My son wanted something to be as it should be. He didn’t want to stand out and be any more different than he’d already become, feel any more different than he already felt. 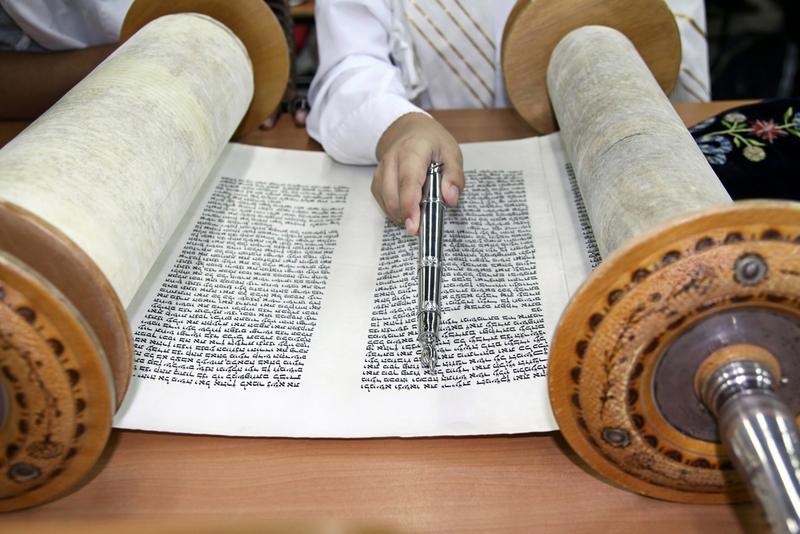 There would be nothing normal about not having his dad give him his tallis or help him prepare his D’var Torah. There would be nothing normal about any of it. But having a party? For this 13-year-old boy, that was normal. And how he just wanted to be normal. And for one night, I could do that for him. For one night, it would be easy to be his mom. I can’t say that didn’t have a lot of appeal despite the sneers and unkind words that were forthcoming. Bar mitzvah day was not easy, but it was wonderful. My son read much less Hebrew than he would have, had half of his lessons not been thwarted due to grief and depression. The party was fabulous and fun, thought not as fancy as his father had planned. But had his father been able to plan anything at all, he would have planned this: The first time in months that both of his children threw back their heads and laughed aloud with abandon. How they ran around with their friends, ate candy, and sweated not from crying but from dancing. For a few hours, my children looked and acted, not just like children, but like happy children—which eventually, they again became. In retrospect, I know that the entire bar mitzvah, from service to party, served a greater purpose than ushering my son over the threshold to Jewish adulthood. That day taught the three of us that happy times were not just possible, but probable. That our lives would simultaneous offer both sadness and joy—so much joy we weren’t even able to yet fathom it. Mostly, it taught me that by doing what was best for us, we’d all get to the other side.